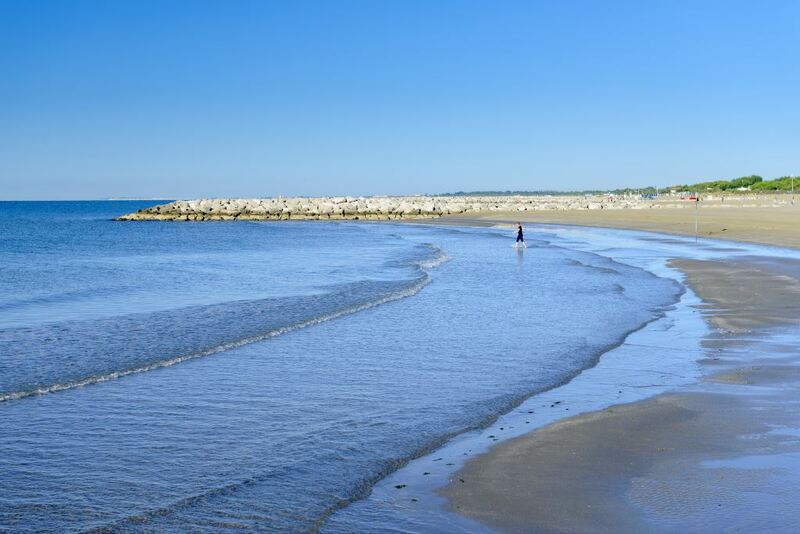 The Coastal resort of Cavallino is situated on the boundary of the well known seaside resort of Lido di Jesolo. An ideal location for those who love the outdoors. The wonderful 15 kilometer sandy beach stretches from the Cavallino Lighthouse to the nearby resort of Punta Sabbioni, and undoubtedly one of the main attractions of this sun kissed corner of paradise. Colors, fragrances, and flavors: make up the unforgettable mix which characterizes every vacation spent on the coast of Cavallino . Cavallino characterizes a natural environment where the sea and lagoon merge to form ever changing suggestive scenery, the sandy beach, extended and green pine trees, the distant lighthouse and marina. A true natural tourist park, where the sea and sand are part of a natural surrounding, dominated by vast pine forests which offer an oasis of cool shade from the heat of the sun. The beach at Cavallino, where the hotel ‘Albergo Rosa’ is situated is capable of satisfying everyone, ideal for those who wish to spend long sunny days relaxing by the sea. For the young who want to play on the sandy beach, attend the animation groups or swim in the clear, shallow sea, a slow gradience means they can play and swim complete safety. For those who like a more active holiday you can go on bike excursions, allowing you to discover for yourselves the unique scenic environment, (our bike-friendly hotel can offer many itineraries for you to enjoy) if you enjoy walking, Venice is just a short distance away, take boat rides and discover the many islands of the lagoon. A vast amount of outdoor activities on offer, but at the same time a location which offers services and amenities ideal for a family looking for relaxation. And Finally, again this year Cavallino has been judged the International ‘ BLUE FLAG BEACH‘, a confirmation of the high quality that Cavallino beaches is able to offer its visitors.